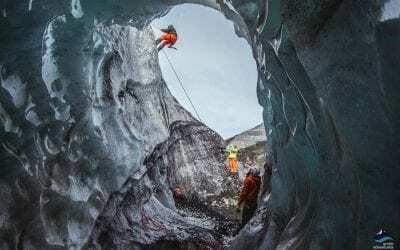 This all-in-one adventure combo tour gives you the ultimate Iceland experience with a great range of amazing activities and almost too many highlights to list! 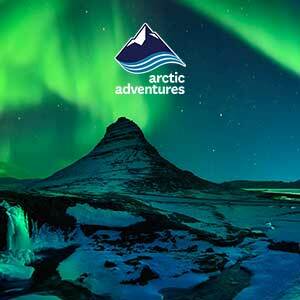 This is Arctic Adventure’s best value and most amazing Iceland adventure package! 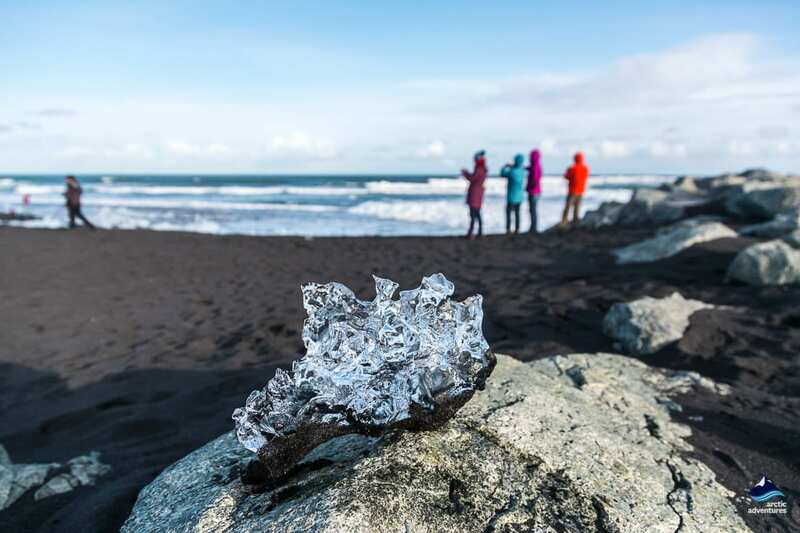 You will quite simply see and experience all of South and South East Iceland’s most treasured sights and activities in six extraordinary activity packed days. If you want the most exciting time ever this is the tour for you. 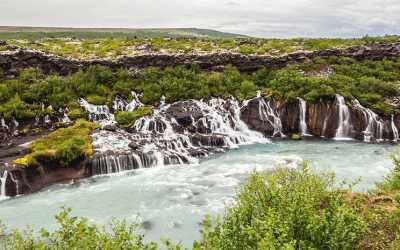 This tour package offers a combination of multiple day tours from Reykjavík. 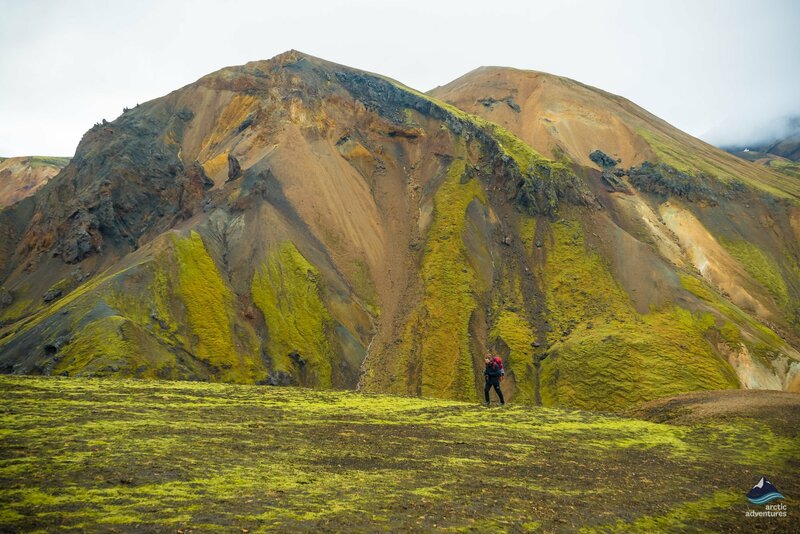 This tour will take you hiking in the incredibly beautiful Landmannalaugar Nature Reserve in the highlands, only accessible with 4×4 vehicles. The vibrantly colored rhyolite and soft sand colored peaks of the mountains offer some really unique scenery. Bathe in the geothermal hot spring pool as steam rises serenely around you. The total hiking distance is approximately 8-10 km. 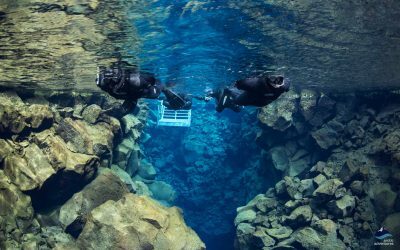 The exceptionally clear water within the Silfra fissure in Thingvellir National Park is just one reason why this is a world famous dive. You will actually be diving in the fissure between the Eurasian and North American tectonic plates. Silfra is the only place in the world where you can do this. This has to be one of the coolest experiences in Iceland. Have no worries, we provide a top quality drysuit to keep you warm and comfortable! Iceland is often talked about as the land of Ice and fire. There are dozens of earthquakes every day and much of the land consists of huge lava fields, never letting us forget this is one of the most volcanically active places on earth. The lava tube caves we will visit on our caving tours were formed when liquid lava flowed in high volume beneath a hardening surface, these incredible tubes are just perfect for exploring! Lava tubing will show you a different angle on Iceland. Walk in the speleologist’s shoes and explore these magnificent natural formations just beneath the surface. 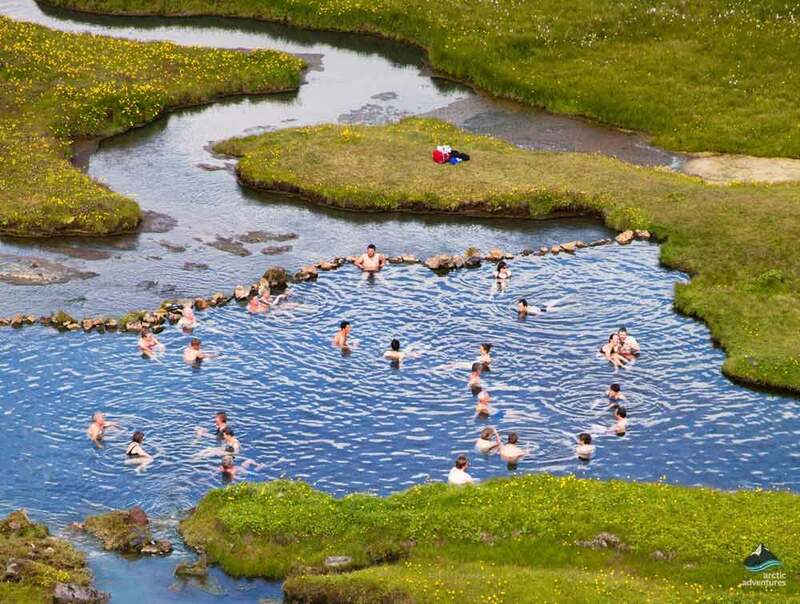 Our Hot Spring Hunt trail to Reykjadalur Valley in Hveragerði begins just 40 minutes out of Reykjavík. 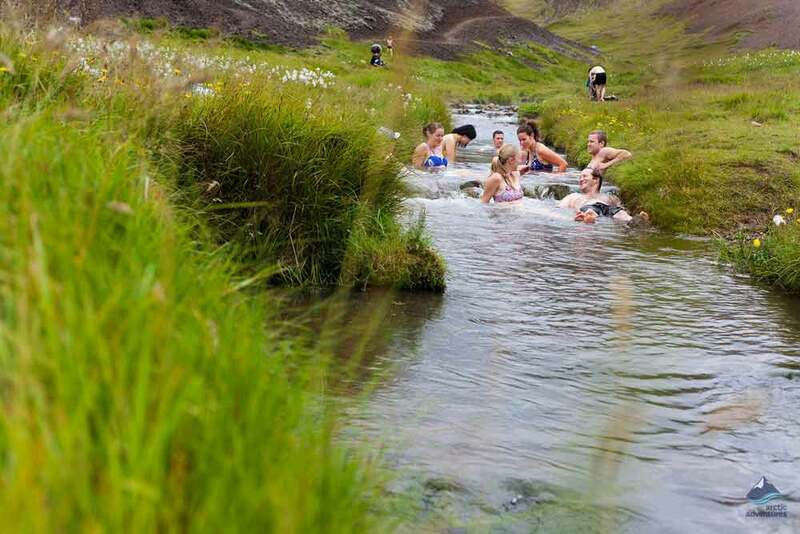 This easy hike provides a rare opportunity to see every type of hot spring Iceland has to offer. There is a natural hot spring river at the end of the valley where you can enjoy bathing. Ride an Icelandic horse, the isolation of Iceland has preserved the purity of the breed since the time of settlement nearly 1150 years ago. These sure-footed, small but strong horses have an additional kind of ambling gait, known as tölt. Tölt like a Viking! 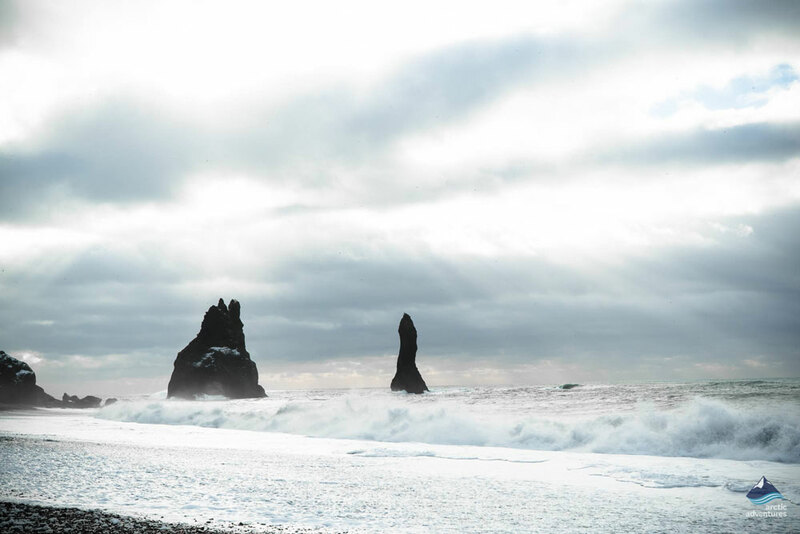 This trip will take you to the beautiful south coast of Iceland with stops at all of the highlight including the stunning waterfalls Seljalandsfoss and Skógafoss along with the stunning Reynisfjara beach. We will also take you to the largest glacier in Europe, Vatnajökull. It covers over 8100 km2 and has around 30 outlet glaciers. Vatnajökull National Park, founded in 2008, is now the largest protected area in Europe, incorporating the Skaftafell National Park and Jökulsárgljúfur Nature Reserve. The National Park has highly prized natural marvels: huge glacial rivers, stunning canyons, beautiful glacier lagoons and impressive waterfalls. Numerous outlet glaciers extend to the south: Falljökull; Breiðamerkurjökull; and Öræfajökull home to Iceland´s peak, Hvannadalshnúkur, to name but a few. The epic iceberg filled lagoon in South East of Iceland covers about 18 km². The icebergs calve off from Breiðamerkurjökull, a tongue of Vatnajökull, the largest glacier in Europe. The unforgettable scenes here will stay with you forever. Scenes of the James Bond movies Die Another Day, A View to Kill and also Lara Croft Tomb Raider were filmed here, so don´t be surprised if you have a deja vu moment! The nearby coal black Diamond Beach, where some of these icebergs are washed ashore, is an absolute stunner. Remember your camera! The famous Golden Circle route contains three outstanding natural phenomena. The geothermal area, Geysir, home of the original erupting hot spring, from which the English word to describe this activity, “geyser”, is taken. Nowadays, a nearby geysir, Strokkur, is the one to watch. The magnificent sight of superheated water exploding high into the air every few minutes is not to be missed. 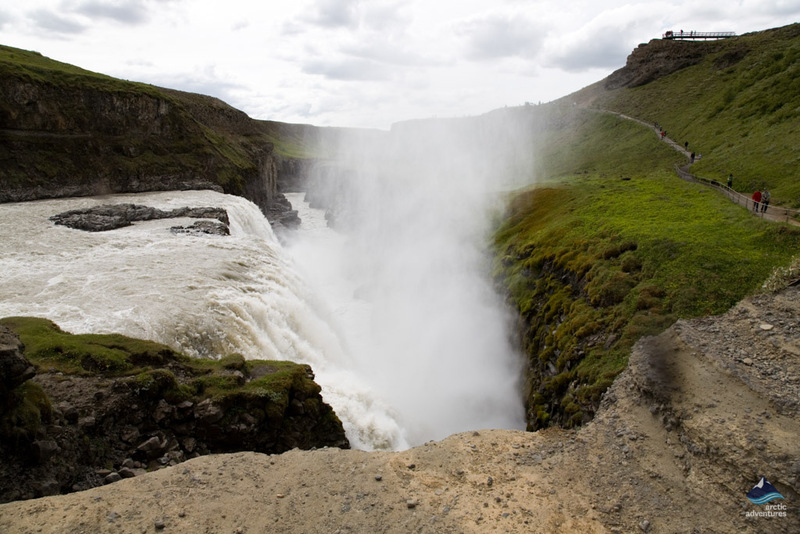 Next, there is Gullfoss (the Golden Waterfall) – an amazing sight. The waters of the powerful Hvítá (the White River) power through the canyon, dropping 32 m in two stages with breathtaking power and grandeur. Last but not least, is the Þingvellir National Park. UNESCO listed Þingvellir as a World Heritage Site due to its exceptional history and geology. It is the birthplace of Alþingi, one of the earliest parliaments in the world, founded in 930 CE. The Mid-Atlantic Ridge runs through Þingvellir, creating a dramatic rift valley. The largest lake in Iceland, Þingvallavatn, is also to be found at Þingvellir. Our rafting base camp, located at Drumboddstaðir, is the starting point of our rafting tours near Gullfoss canyon. The Hvítá river provides a balanced blend of beautiful, steep canyons and adrenaline pumping rapids. 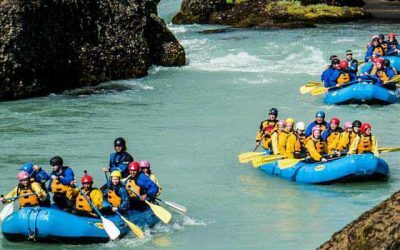 You will raft through the magnificent Brúarhlöð Canyon, there is also the option of jumping from a cliff into the river. We provide a wetsuit, life vest, helmet and a paddle. Our safety kayakers will be next to the rafting boat. The base camp facilities include hot showers and sauna, together with refreshments and a bar – perfect to enjoy after your rafting trip. We most often see Minke Whales, Humpback Whales, Dolphins, and Porpoises. Our qualified guides provide a lot of information so you can learn all about the wildlife as you travel across Faxaflói Bay. 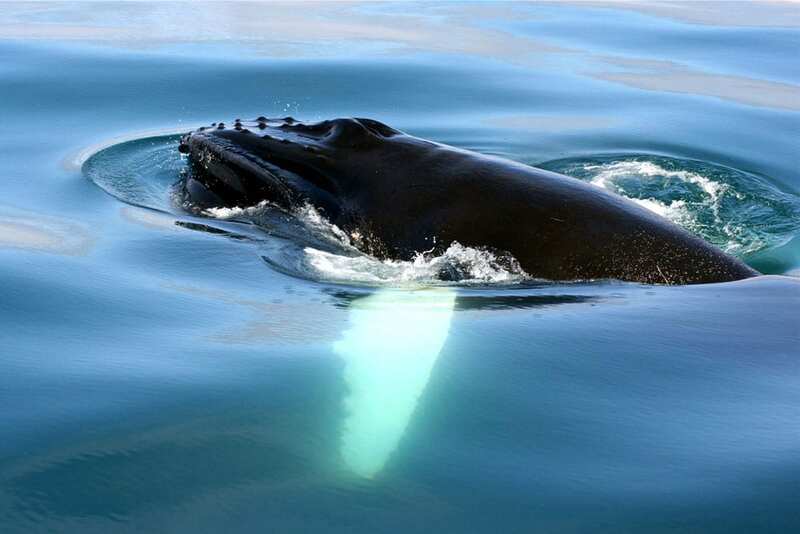 Weather and sea conditions play a big role in what we see – we will always put you in the best place to see whales, often not more than 15 km from the harbor. Special suits are provided but we advise you to come with warm clothes, hats, scarves and gloves etc. Hot drinks and soup are available from the onboard café. The iconic Blue lagoon is the first things that come to mind for a lot of people when they think about Iceland, it is a ‘must-do’. The lagoon is filled with natural geothermal water which has flowed up through the lava making it extremely silica and mineral-rich. The water will leave your skin silky smooth. Doctors in Iceland send patients with psoriasis and eczema to the Blue Lagoon Clinic to bathe in these waters. Allow the soothing waters and lava scenery to wash over you! Once we receive your booking for the 6 day Summer Package our sales agents will book all of the activities included in the package and send you a separate email containing your itinerary and vouchers for each activity. It is important that you inform us where you will be staying in Iceland so that we can arrange the pick up service accordingly. Landmannalaugar Hiking Tour: 7 am, back approx. 9-10 pm. Hot Spring Hunt & Horseback Riding: 8 am, back approx. 5 pm. South Coast & Jokulsarlon: 8 am, back approx. 11:30 pm. Snorkeling in Silfra & Lava Caving: 9 am, back approx. 5 pm. 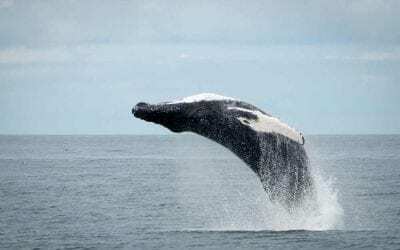 Whale Watching & Blue Lagoon: For the whale watching you will have to meet us at the downtown Reykjavik harbor, no later than 30 minutes prior to your departure. Pick up & departure times for both activities are to be confirmed by one of our agents after booking. What to bring: Warm outdoor clothing, waterproof jacket and pants, head-wear, gloves, bathing suit, packed lunch, towel and a change of clothing. Good hiking shoes are recommended. What if I don’t own the necessary clothing items? You can always rent sturdy hiking shoes, waterproof jacket and pants in the booking process. We do not rent gear from the locations. Flights, food and accommodation are not included in this tour. This tour is put together of different adventure tours from Reykjavík, the order of the tours can vary between departures. We will send you the final itinerary once your tour is booked. Pick up is offered from authorized pick up points in the downtown Reykjavik area. Exact pick up time to be confirmed by one of our agents after booking. On our first day, we go to the majestic interior highlands for the Landmannalaugar experience. Explore this unique rhyolite mountain and geothermal hot spring paradise, an absolute wonder for geology enthusiasts and hikers alike. As the colorful mountain peaks surround you will begin to understand why this place is so famous and, indeed, so special. 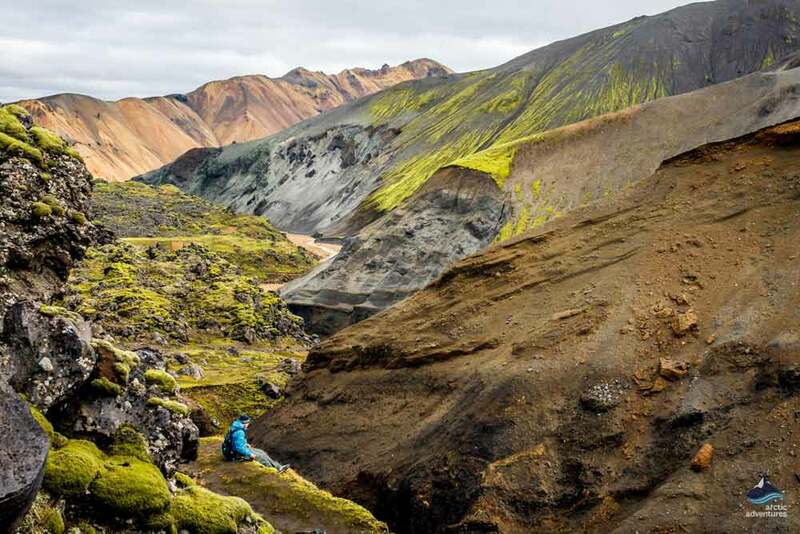 Hiking paths will lead you into the mountains where the magic of Landmannalaugar will unfold before your eyes, red, or green mountain peaks? No, you are not seeing things! This is the real deal, and those vibrant colors are really there! Your knowledgeable guide will explain the formation of this amazing landscape to you. You must remember your bathing suit and a towel for a dip in one of the great natural hot spring pools of Iceland. With steam billowing from the warm water and nature all around you bathing is so relaxing – there are times when it is good to be less active! On the return drive to Reykjavík you will pass through the highly active volcanic area around the famous volcano mountain, Hekla. Pick up starts at 8:00 am from authorized pick-up points in the downtown Reykjavik area. On the second day of your holiday we explore the hidden magic beneath the surface. We do not have to travel far from Reykjavík to find the lava tube cave, this particular gem is situated between Þingvellir National Park and Laugarvatn. You are equipped with a safety helmet and a headlamp (miner´s lamp) so you will be able to see the fascinating world which exists not far beneath our feet. Accompanied by a professional and knowledgeable caving guide you will see amazing jagged rock formations, extraordinary colors and geological formations. The cave is quite spacious but there will be times when you need to travel on all-fours, much of the time you can stand tall. 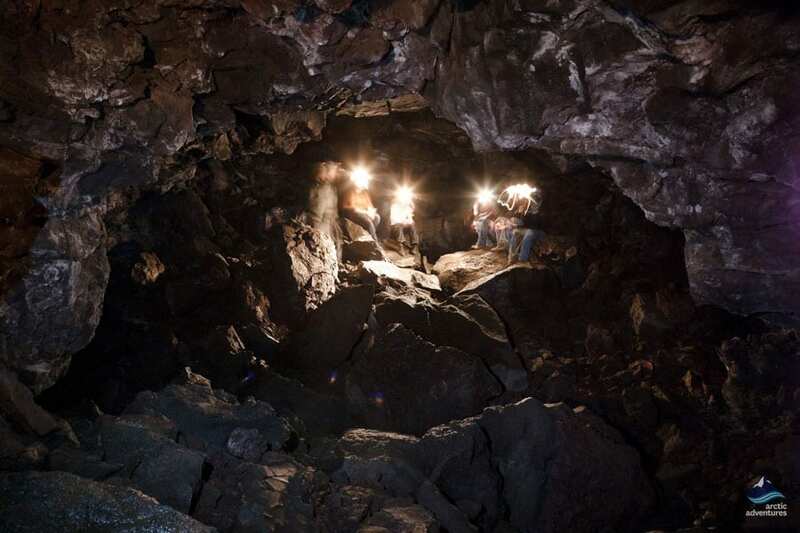 Exploring this typical lava tube cave will give you a fascinating insight into the volcanic activities which have shaped Iceland. 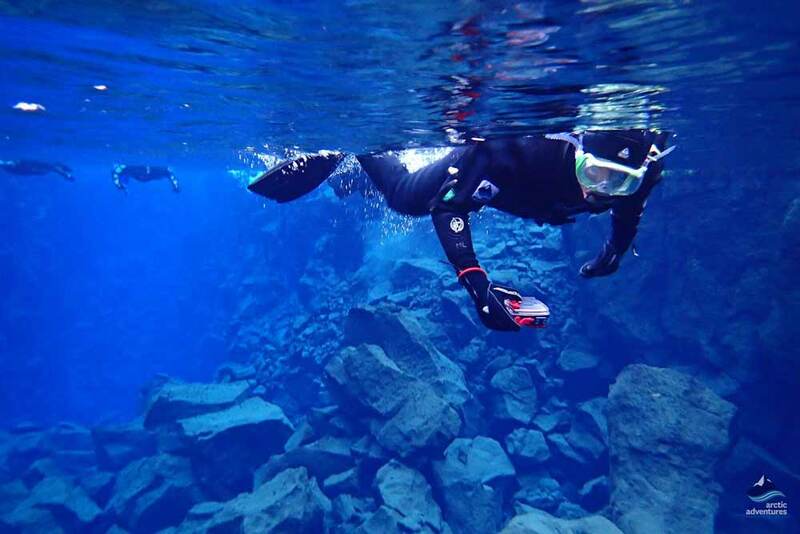 Now for a breathtaking snorkeling trip into the ravine between the tectonic plates at Silfra, in the heart of Þingvellir National Park. The clarity of the water within Silfra is unrivaled anywhere in the world. It is the crystal clear underwater views coupled with its location within the Mid-Atlantic Rift which makes Silfra a world top ten dive. It is even better for snorkeling. We provide a good quality drysuit to keep you comfortable. After a quick briefing you are then ready to enter this fascinating and exotic environment. You will discover the kind of scenery which is more often associated with the tropics. We begin day 3 with a hike to the amazing hot spring area of Reykjadalur valley, Hveragerði. We take a fairly easy but highly rewarding trek through the mountains in an area which is literally riddled with hot springs. Steam can always be seen floating across the hillside from multiple points, creating a mystical appearance and feeling. You will encounter many different kinds of hot spring. Your hiking efforts will take you through splendid scenery to a river where hot spring water blends with a natural cool water source creating a perfect temperature for bathing. So, be certain to remember your bathing suit and a towel! After a replenishing dip you will feel ready for the return hike. Along the way your friendly hiking guide will offer you lots of information about the area and, of course, answer any questions you may have about this highly unusual and fascinating area. Next on the agenda is the Icelandic horse. We are off to the Eldhestar Horse Farm where you will have light refreshments followed by a horse riding trip. This gives you a great chance to get to know the Icelandic horse and its unique abilities and also to explore a little Icelandic farmland. These horses are among the purest breeds in the world. Brought to Iceland by the settlers who came not far short of 1150 years ago in around 871 CE, the isolation of Iceland helped to keep the breed pure. However, it was obviously important to the early Icelandic people that the purity of the breed was protected. In 982 AD, Alþing, the Icelandic Parliament passed a law forbidding the importation of horses, ruling out any future cross-breeding. These very strong, sturdy but small horses were uniquely suited to the Icelandic terrain and life before the machine age took over, perhaps a little later here than in some other parts of Europe. Today we start our day in Reykjavik. 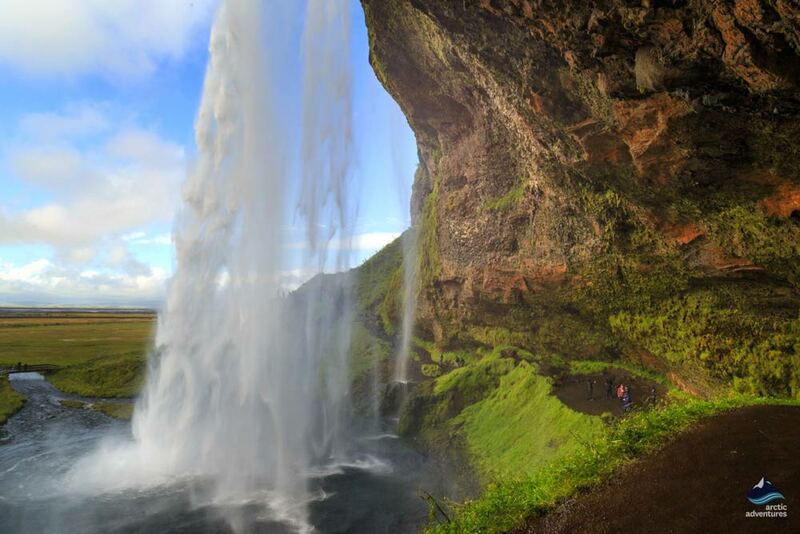 We drive along the south coast towards the stunning waterfall Seljalandsfoss, a waterfall you can walk behind and the surroundings are beautiful. 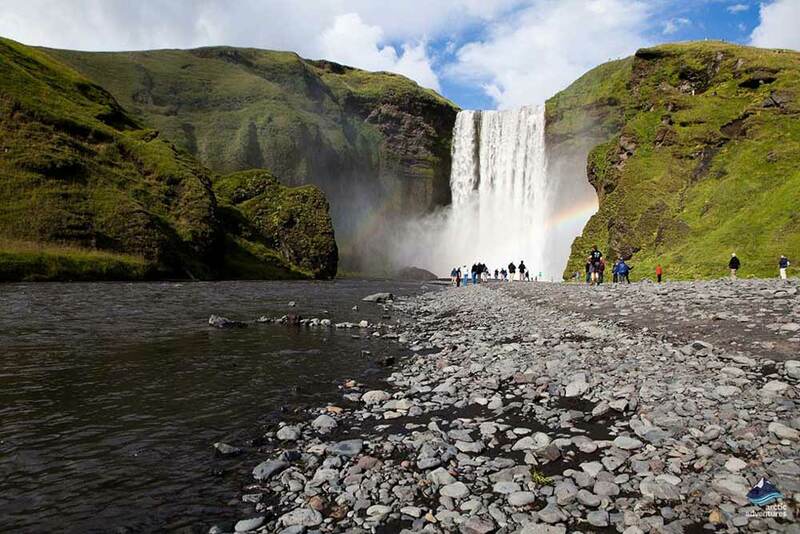 Our next stop is at the charming area of Skógar where the beautiful waterfall Skógafoss is located. The two waterfalls are both 60 meters in height but very different in power, flow and surrounding scenery. We recommend walking up the right side of the waterfall to see the troll face that stares at the falls. Urban legend says that the troll forgot time staring at this alluring waterfall and turned into stone when sunrise came. There is much more to come! 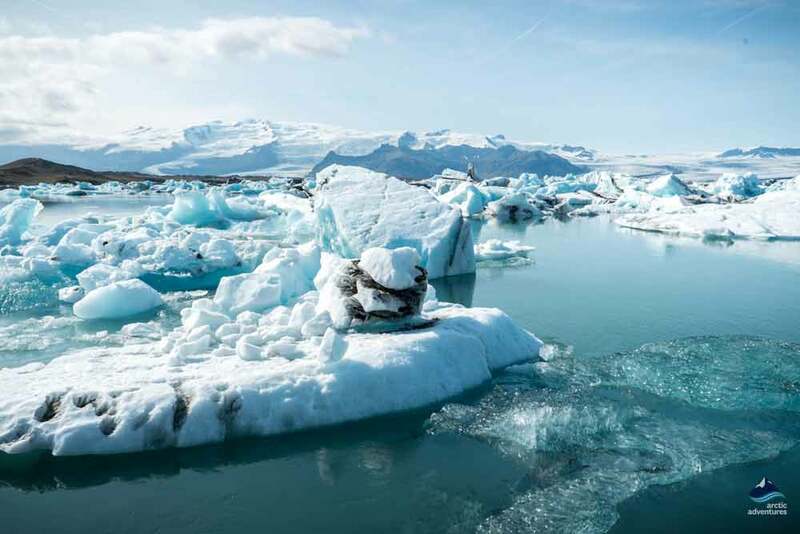 We travel to one of the most the famous and extraordinary places in Iceland, Jökulsárlón Glacier Lagoon. The lagoon is filled with the huge towering, and amazingly shaped icebergs which calve off the retreating Breiðamerkurjökull glacier, another tongue of Vatnajökull. 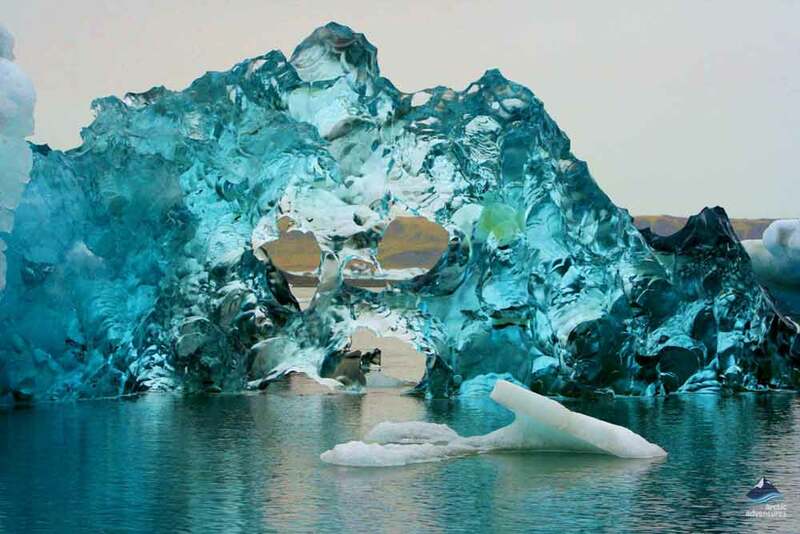 You will be stunned by the blue shades which glitter like precious jewels within these natural ice forms. Blue appears in very old ice due to compression, however, sometimes really bright blues will be seen, these are caused by algae and may appear in young or old ice. 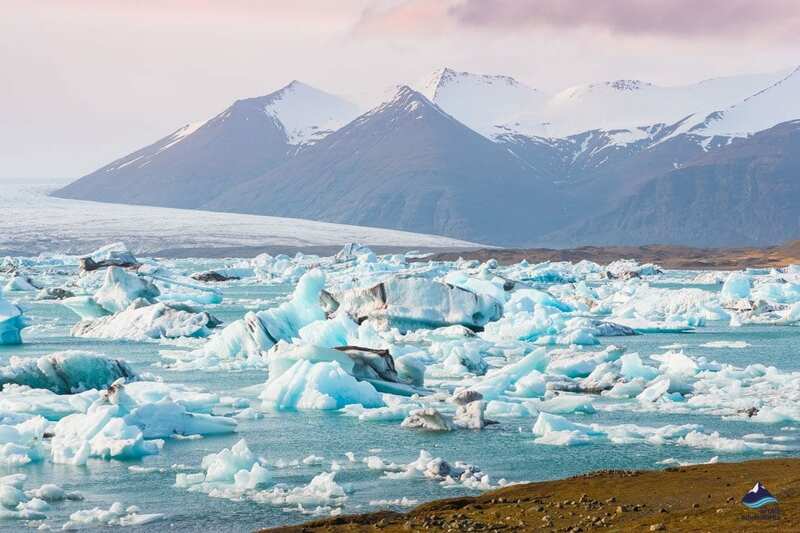 With Vatnajökull hovering above you there is ample opportunity to take the most amazing photographs before wandering over to the nearby Diamond Beach. 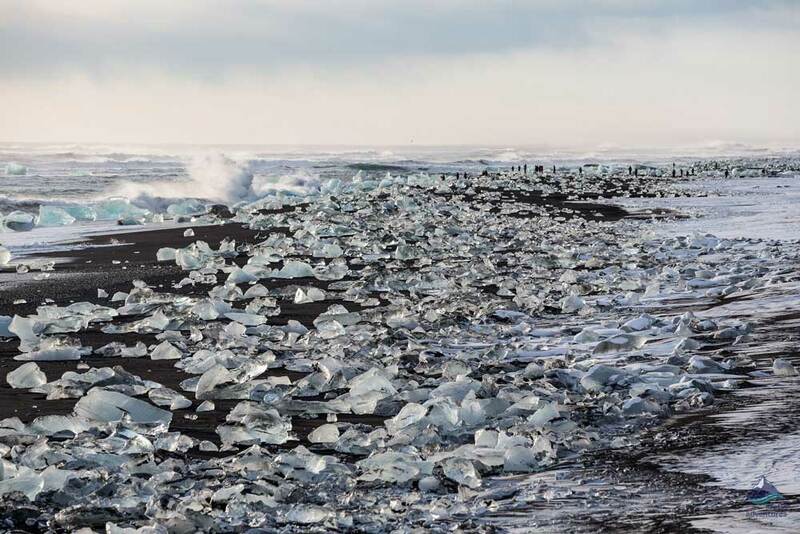 Some of the icebergs are washed up on the dramatic black sands where they glitter like diamonds, a truly amazing sight. There will be a short stop where you can purchase some coffee, and maybe a warm Icelandic waffle with cream and jam before we continue on our journey. Summer in Iceland means non-stop daylight which means that we still have time to visit the wonderful Reynisfjara black sand beach on our way back. With its volcanic sand and basalt columns it’s slowly getting to be one of the most popular sights along the South Coast. We will be there pretty late so we hope to have it all to ourselves. After a stroll on the Reynisfjara beach, we head back to Reykjavik and should be back home before midnight. Pick up starts at 8 am from authorized pick up points in the downtown Reykjavik area. The morning starts with a visit to the Golden Circle. Gullfoss (the Golden Waterfall) is always surrounded by the golden hued mist which, no doubt, caused it to be so named. A quick visit to the geyser geothermal area to witness Strokkur, propelling boiling water and steam skywards, see if you can feel the moment when Strokkur will explode! Next on the agenda is Þingvellir National Park, the UNESCO World Heritage Site. Walk through the rugged rift valley and stand in the atmospheric spot where the Law Speaker, the supreme chieftain and legal officer of the land, stood to proclaim the law in ancient times. Today a flag marks the Law Rock (Lögberg), seldom has a great political leader spoken from such a dramatic stage! We head on to the river rafting base camp at Drumbó, having lunch in the comfortable restaurant (not included) before the action gets underway. Rafting this section of the fast and powerful Hvítá river is both a beautiful and a really exciting adrenaline raising activity. There is a blend of rapids and more peaceful sections where you can take a breath and admire stupendous views. Those who wish to can leap into the river at the magnificent Brúarhlöð Canyon. After your exhilarating river rafting trip there will be time for you to relax in the sauna, take a shower and enjoy a drink or a snack. Then it is back to Reykjavík! 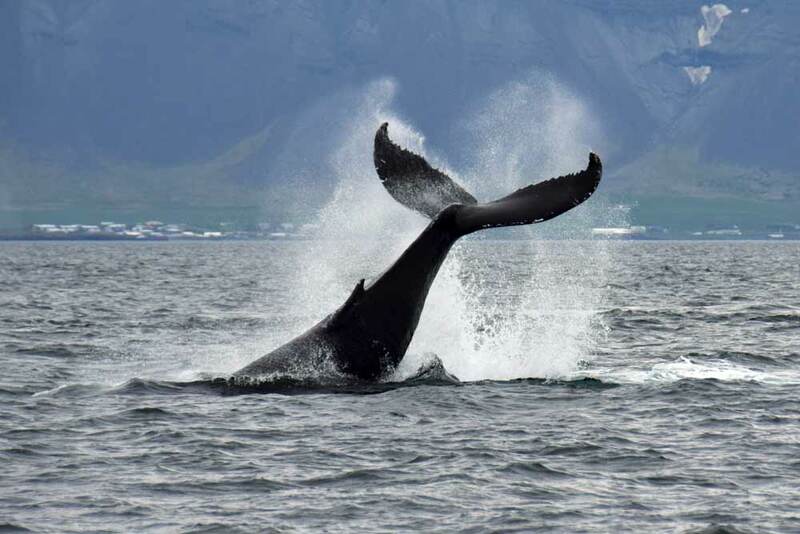 Please note that participants are required to meet up at the Old Reykjavik harbor at least 30 minutes prior to their departure for the whale watching tour. Pick up & departure times for both activities are to be confirmed by one of our agents after booking as entrance times to the lagoon are subject to the availability of the lagoon. 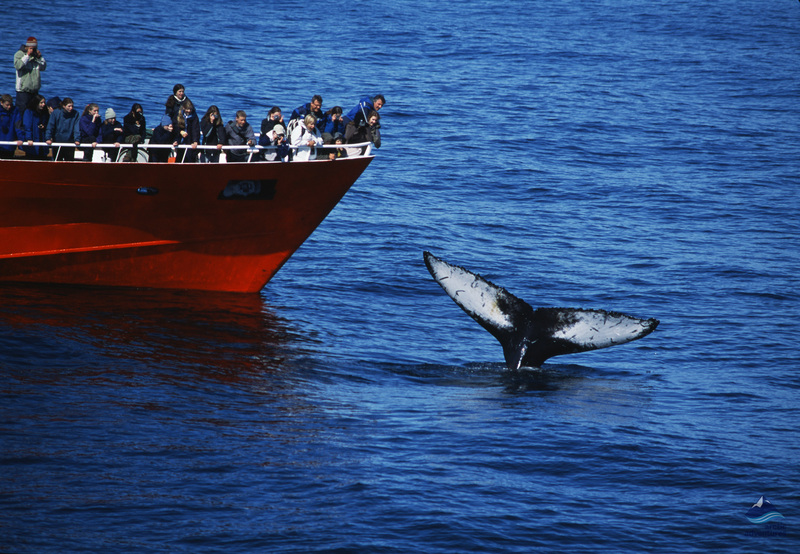 First, an exhilarating whale watching boat trip on the North Atlantic Ocean. Taste the salt-tang of the open sea as you search for these majestic giants of the deep. We always do our very best to take you to the places where sightings are most likely, whether these are close to the shore or up to 15 km off-shore. We recommend you to wear warm clothes including headwear, scarves and gloves, even on a warm day it can get surprisingly cool out on the water. Do not forget your sunglasses and sun cream, the sun around Iceland is much more powerful than many people think! We provide a comfortable warm suit, hot drinks and snacks are available from the on-board café. After you step back onto dry land you will need to make your way to the pick up point you have arranged for your tour to the world famous Blue Lagoon. Enjoy the scenery as you head through the lava landscapes of this volcanically active peninsula, some lava is resplendent with incredibly vibrant mosses. Immerse yourself in the calm milky mineral and algae rich waters of the lagoon, sheer bliss! With a treasure trove of memories and a wealth of stories to tell in your homeland you return once more to Reykjavík! 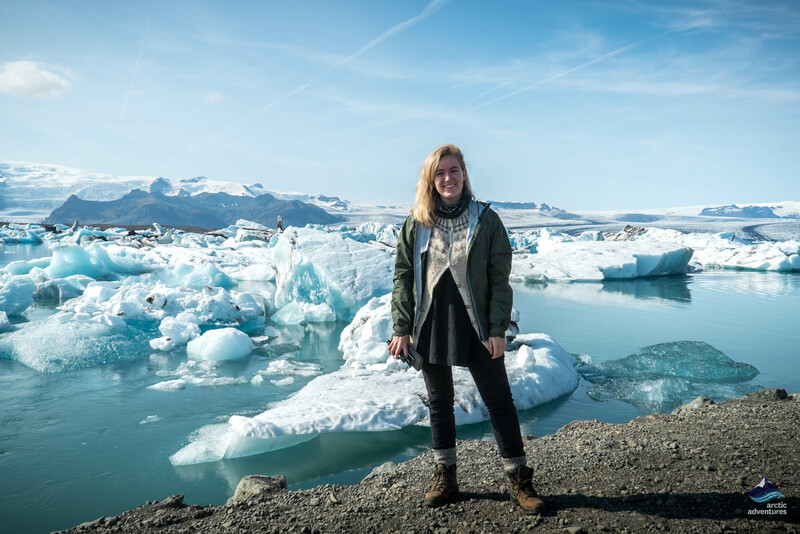 *Please note that this itinerary is a drafted itinerary whereas the order of the days may be swapped and you might start with the Whale Watching & Blue lagoon visit and end with the Landmannalaugar Hiking or the Golden Circle & Rafting adventure. Accommodation is unfortunately not included in our adventure packages. The packages are combination tours of multiple day tours from Reykjavik. We therefore recommend that travelers interested in our adventure packages book their accommodation in Reykjavik.